The presentation date is getting closer. It is almost ahead of time. We already planned out what to cover during the presentation on 19th. We will majorly discuss theory, demo, and future aspects. Only two will speak and haven’t decided the speakers yet. Also, we made few changes on the website. We interconnected 3 section in the website; select an image→ Index the image → See the results. Basically, this content puts more emphasis on tagging and mapping. We finished editing theory and about sections. The next stage is working on the final paper. We already divided sections to work on. 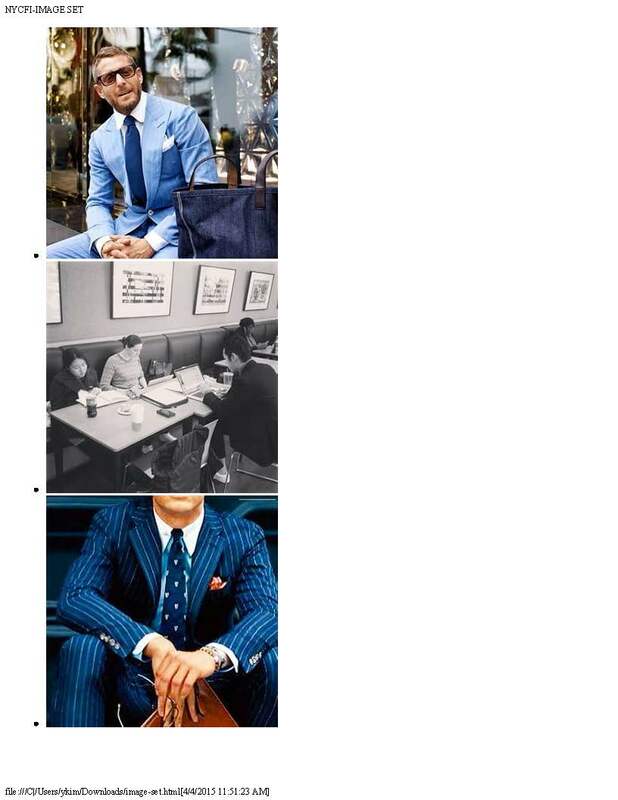 This entry was posted in Spring 2015 and tagged demo, Fashion Index, final, presentation on May 9, 2015 by You Gene Kim. We have started framing and accelerating our story telling. On the other hand, we have ceased decelerating and building the development. This week, we focus on the narrative part. I also twitted on our Twitter account. Compared to the Instagram account, I haven’t actively used Twitter. I would rather balance up using those two distinct social medias. We got 28 Instagram followers! In technological part, we are cleansing irrelevant data, fixing the image sets, and indexing the pages. At this stage, we are gathering the literary works from our team members, classmates, and others from fashion studies communities. In addition, we are planning to start shaping the final paper. Thanks for the capture, CUNY Cast! 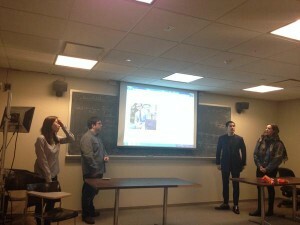 Actually, this picture was taken during the first presentation on March 17th. This entry was posted in Spring 2015 and tagged Fashion Index, Social Media, storytelling, Theory on May 2, 2015 by You Gene Kim. During this semester, we have been working on collecting collection of python and Instagram scripts and interacting with database. We added the “game” function, which will be an ethos of our website, based on bootstrap. The game refers to the indexing page on the website as well. We believe the index page will show a curatorial power to the users. The game will let the participation. In this respect, our group is aiming to get more interactions. User engagement plays a critical role in this project. We are planning to tag more and archive more images in order to have deeper historical contents. On the images, we have to attach longitude, latitude, time information, and URLs. We are thinking about how we can contribute to both fashion studies students and DHers. 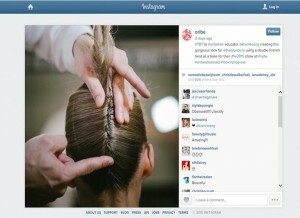 The way we collect images pulling out from Instagram, crowdsourcing, is a totally community facilitated process. We observe latent people in community and interest. Community building is an integral part because it will generate new types of communication among different users. In the end, we will hit other parts of fashion world e.g.) Paris, London, etc. Also, we try to moderate and curate the data. We have been discussing the possibilities and prospects of our theme in terms of layer of interaction of fashion. What extend in concern of this field? and we are questioning the power of fashion world. 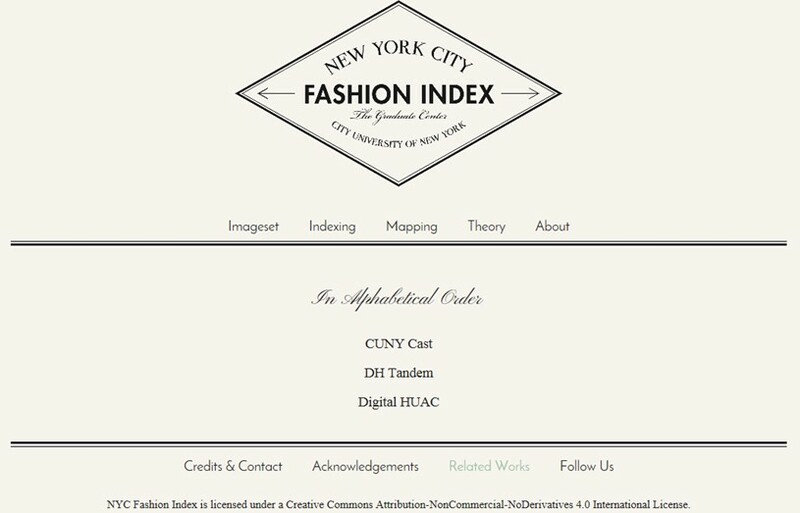 This entry was posted in Spring 2015 and tagged crowdsourcing, Fashion Index, fashion studies, geodata, socialmedia on April 25, 2015 by You Gene Kim. During the class discussion, we had an issue of staid version vs. dynamic version of our website. Since we are running out of time, we may not be able to cover database. So we ended up continuing the static one. We need to navigate data between mapping. As well as, we have to navigate tags based on time, space-csv scripts. 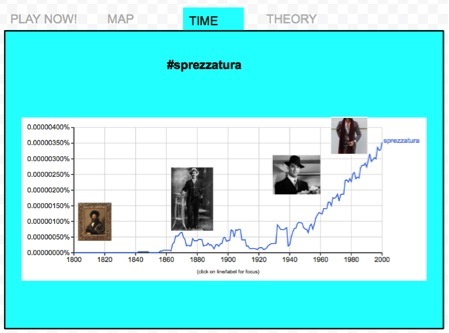 At this point, feedback loop is critical, which refers to increase more users engagement such as tagging more maps and bringing more images related to #sprezzatura. Anyway, we will stick around #sprezzatura instead #nyfw (New York Fashion Week). 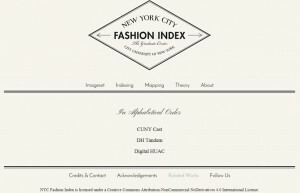 In our website, there is a theory section, we may fill up with 500-1000 essays written by fashion studies related scholars. We expect that those essay will be a strong part of the user stories. The developer, Tessa’s plan is to explore more new tags, implement retroactive geographical filters, populate tags from NY (few images, which will be trend-bases). Definitely, cleansing the datasets, which are not totally related to #sprezzatura, is very important. The images should be credible. We can easily find several irrelevant images in relation to the hash tags, which we are mainly looking for. We will set our own parameter to avoid the random images. Also, Tessa is going to work on geocoding, the main function is searching addresses based on on zip codes, longitude, and latitude. The data came from Python script. Geo-specific data, “reversing geocoding” convert zip codes to longitude and latitude. We made slight changes on our website. For our introduction page, we displayed datasets of images, which will be shuffled around in black and white. 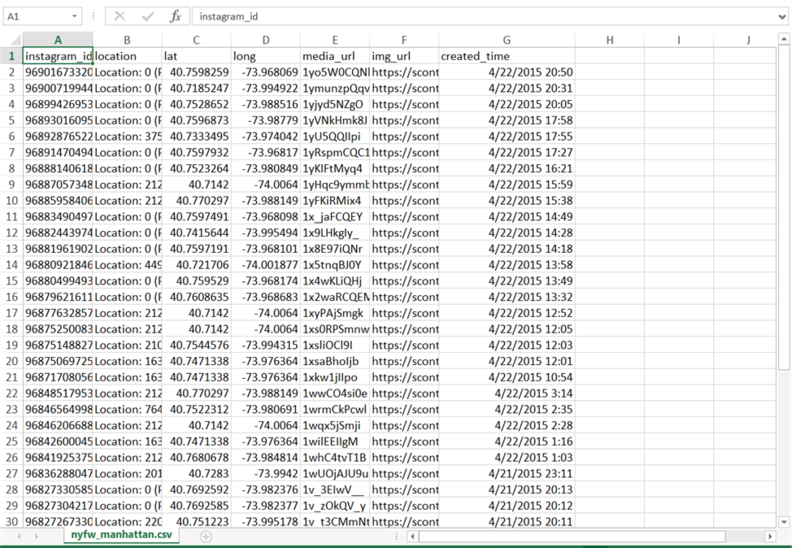 Then, we added dataset section. Renzo made questionnaires in order to get feedbacks and they are composed of multiple choices and short sentences. According to Dave Rioden from NYPL, we should focus on the interaction or engagement with users. We are planning to set up a server that will archive game data. DH and Fashion Studies students will test out the game. 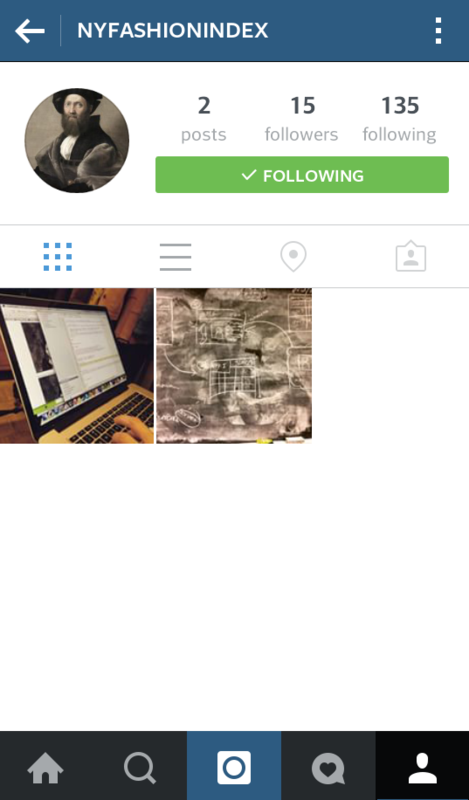 Lastly, we got 24 follower on our Instagram account. Undergraduate fashion school students and a fashion blogger followed us. We should facilitate more chances of interaction and communication. 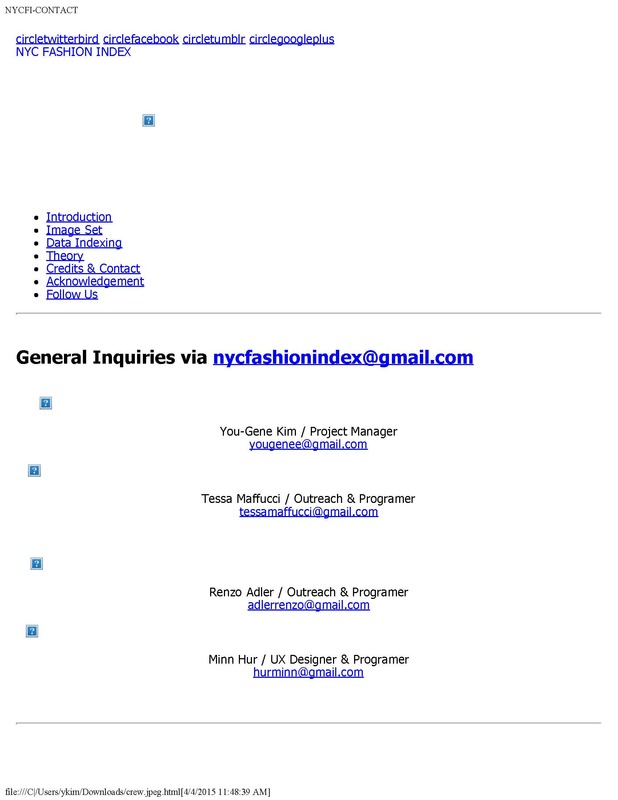 This entry was posted in Spring 2015 and tagged datamining, Fashion Index, mapping on April 18, 2015 by You Gene Kim. All of our tem members have been working so hard during the break. We have also faced certain restrictions. #Sprezzatura tag search was not working well with the NYC latitude and longitude data that we were looking for. We decided to choose a more fashion-themed tag that already pulled images from NYC. We made an alternative plan to focus on the tag #NYFW (New York Fashion Week). This would be our MVP (Minimum Viable Products). Tessa highlighted the fields that will be relevant for CartoDB including Latitude/ Longitude and created time. She adjusted for NY time zone. She also included the image URL. Minn updated Carto DB. 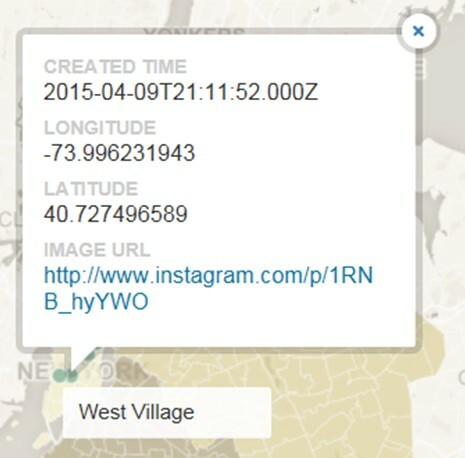 He posted the images based on NYC open data. First, he custom designed the 5 boroughs of map on Mapbox then exported into CartoDB. Later on, he filled 5 boroughs of New York with polygons. Lastly, he placed pins on specific areas. 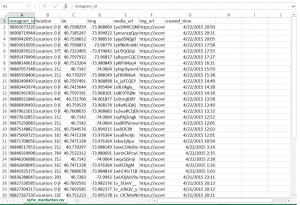 This entry was posted in Spring 2015 and tagged datamining, Fashion Index, geodata, mapping on April 11, 2015 by You Gene Kim. Spring break just has started. This break sounds so industrious. Our current goal is to explore Domain Expert. After solving this matter, we will integrate our final data set. The final data sets can be Lev’s collection of Instagram images or collection of our own images via apigee. We made some changes related to technologies. We will not implement Django and MySQL. We decided to focus on the bootstrap version of the site and gather content to make it look well-structured. Currently, Renzo and Minn developed HTML and CSS files for the website. They already made initial sketches and clarified the concept of art. Using Bootstraps is the foundation of their work. They began creating the site in HTML and generated a basic image gallery, front page, credit page, acknowledgement, and embed Google maps to stimulate the eventual mapping of images, which will be arranged by CartoDB. Under these circumstance, the Bootstrap plays a critical role to shape our websites and scales with screens on mobile devices or smaller monitors. 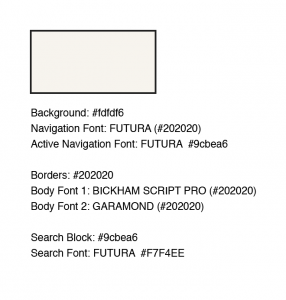 After making the basic version of the site in HTML, they reached a point where they needed to figure out CSS to make the visuals more refined and integrate better fonts. Minn conducted CSS research. During the break, our workloads are divided based on our basic roles. Development- exploring API (Apigee). Planning to collect 50-100 images with #sprezzatura and geodata from Instagram. Outreach- After getting the images, Renzo will work on mapping via Cartodb. Designer- Focus on aesthetic designs, enhancing the visual of the site. This entry was posted in Spring 2015 and tagged bootstrap, cartoDB, Fashion Index, mapping on April 4, 2015 by You Gene Kim. Our group’s current goal is to locate a domain expert. In this point, we need to decide whether we keep our site in Bootsrap or tansfer tp a Django framework. We considered creating a separate page on the site showing only a map, and points on the map indicating where a photo was taken. Below or on the same page would be options to organize the map by the five borough. The developer (Tessa) is researching API access and possibly subscribing to a service that can send us instagram photos with tag data. The outreach (Renzo) installed Python. The project manager (You Gene) installed MySQL. Currently, I am figuring out what is cmd and how to open the command-line Interface. Black-white screen has to show up. We divided our roles to make our technology work out. This time each role is fluid compared to the previous works. Designer [Minn]- Bootstrap site, exploring apigee. Outreach [Renzo]- Mapping via Apigee, cartodb. Project Manager [You Gene]- researching roaming experts, exploring mysql. 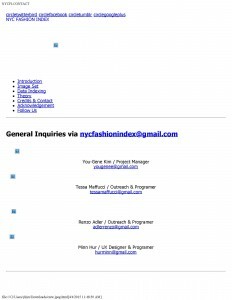 This entry was posted in Spring 2015 and tagged domain experts, Fashion Index, mapping, project on March 28, 2015 by You Gene Kim. Currently, Instagram carries more than a million images of #sprezzatura. We should start learning API and MySQL for data mining. To solve the technology parts, we visited Digital fellows at the media lab. My SQL fundamentally interact with data and establish the connection between the server. One of the digital fellows Even said we need to set up the local copy of My SQL. He also suggested to learn API Python. I will look over Python Library as well. The developer, Tessa approached Shelley Bernstein at the Brooklyn Museum, but we could not access her. Anyway, her tagging project was very useful. 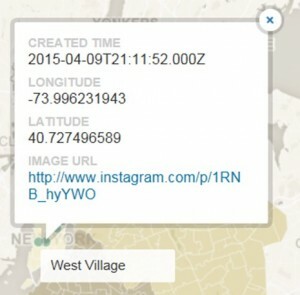 Limitation: Instagram API does not offer geospatial information. In this stage, we should find third party applications for the mapping. For coding, we need text wrangler which functions as text editor, program scripts, and code translator. The outreach, Renzo is using Filezilla for coding. Also, Renzo and Minn (Designer) started working on mapping. They installed the program called R and GGmap. Those two programs interact with google map and import images from google map. Also they provide information of longitude and latitude based on the google map. 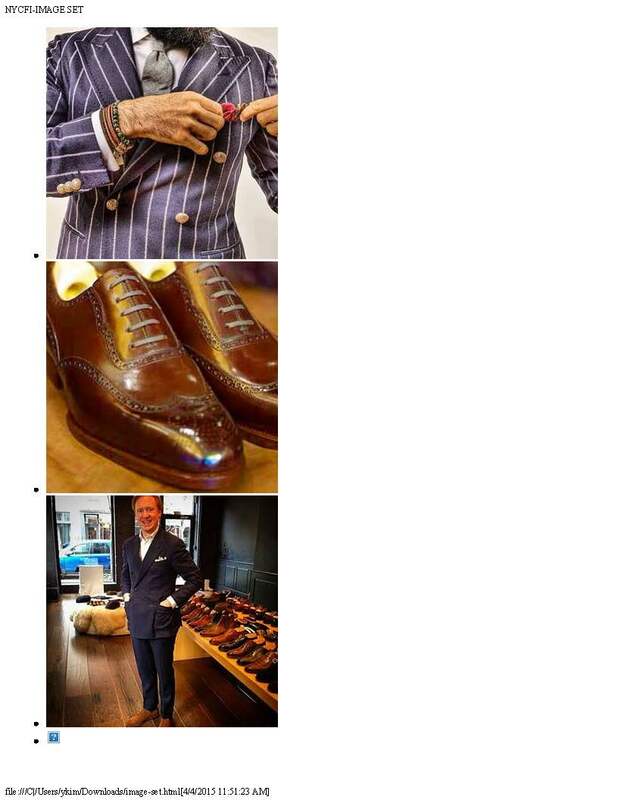 This entry was posted in Spring 2015 and tagged database, Fashion Index, mapping, project on March 21, 2015 by You Gene Kim. Overall, our team is focusing on updating the webpage and learning new technologies including coding and programming. WordPress doesn’t fit to our project. Currently, our core goal is to generate HTML. Our team is working on the HTML coding and CSS. Our team chose to use bootstrap and Bootstrap Jumbotron. 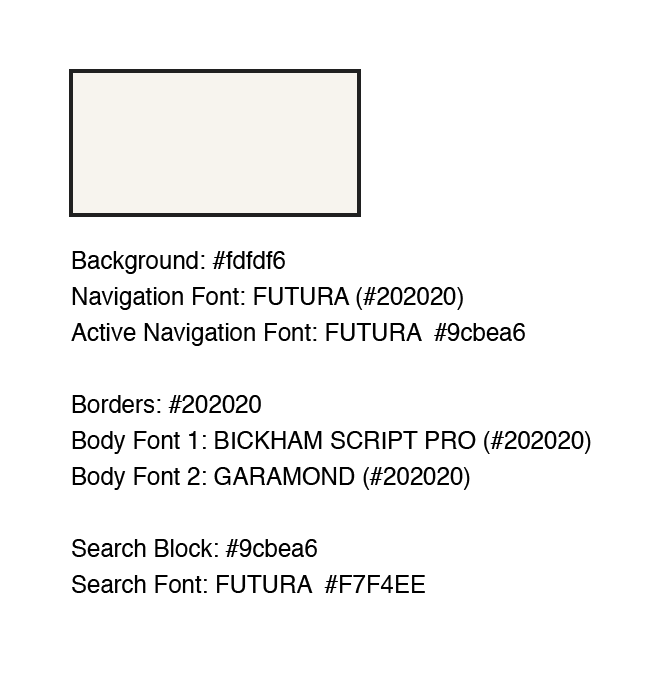 Setting custom styles for font, background color. Trying to look our social media including Instagram, twitter more active. 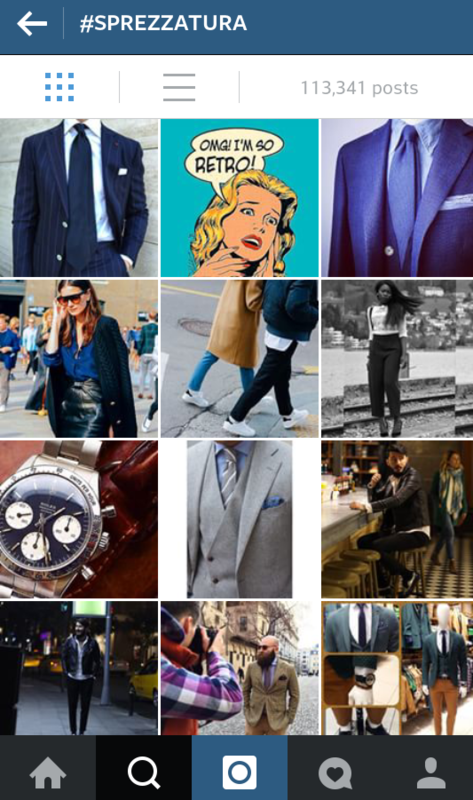 Followed several accounts related to fashion industries and sprezzatura. Followed people those who are currently attending Parsons, Pratt, and FIT and already graduated from those schools. Fortunately, our follower number increased from 2 to 15 people. Best examples from the project done in Brooklyn Museum. The project invited uses to add tags below images. The instagram account is process-based. We are planning to share our progress by a picture-taking method. The website will be content-based. Concentrate on documenting image archives. 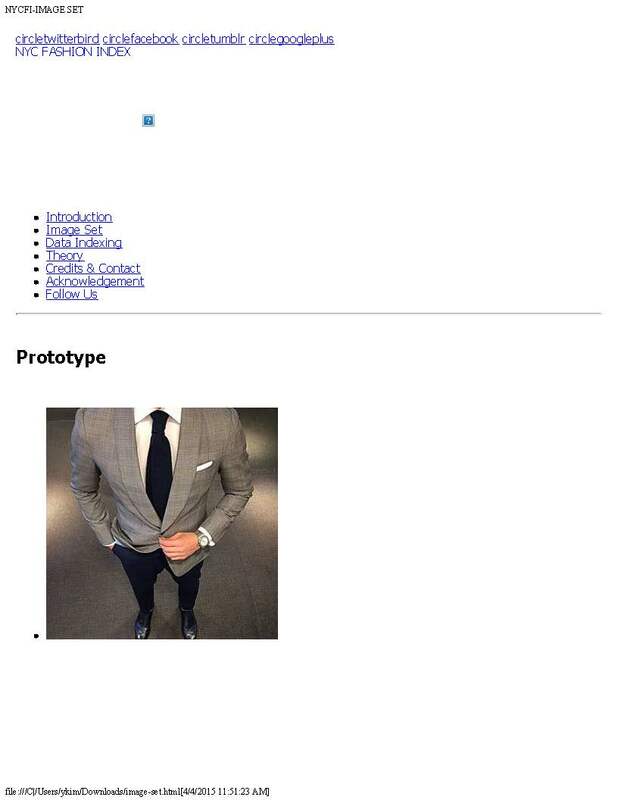 This entry was posted in Spring 2015 and tagged Fashion Index, project on March 14, 2015 by You Gene Kim.